These sounds are just straight up feedback and distortion and to someone like me, or anyone who loves alternative music, are beautiful. It’s hard to just load up a feedback/distortion sound in other programs and “play” it, so these loops really allow real-sounding feedback to make their way into your compositions. 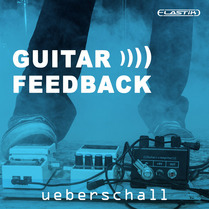 But as I stated previously, adding one or two of these loops to a composition would add a beautiful layer of realness, and for that, Guitar Feedback – and I’m sure a lot of Ueberschall’s other libraries as well – is excellent. I’m currently considering bundling up on some more of their libraries so I can really dig into the power of Elastik and Ueberschall, and see what I can do with their kind of loops. They have tons of packages available, and I’m really excited to try more.